This is the Oh Happy Day Card Kit which is an all-inclusive kit. 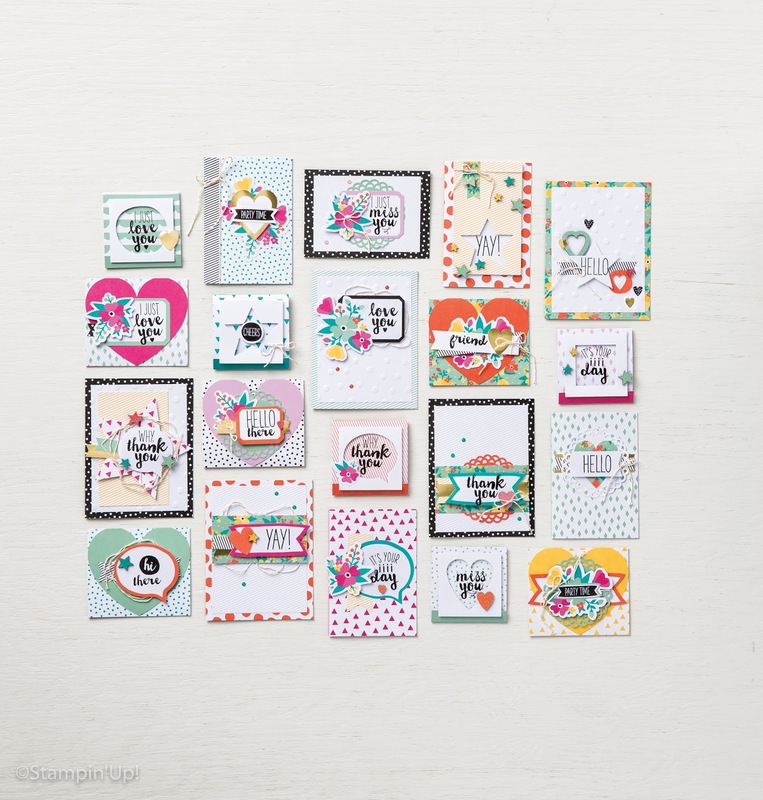 It makes 20 unique cards using the Oh Happy Day Stamp Set, which is also included in the kit. The kit helps you make something special without the hard work as the projects are already designed for you! 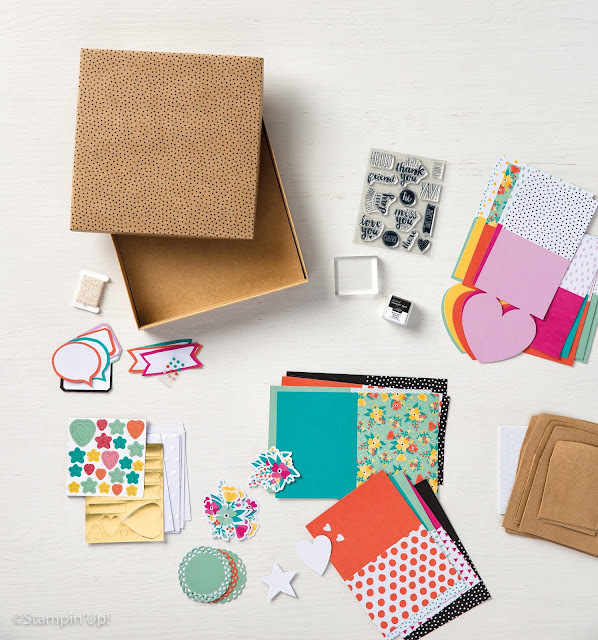 Each kit contains everything you need including pre-cut, ready-to-go embellishments and components. It all comes in a gorgeous box.